(NewsUSA) – Sponsored News – Across the country, families are embracing the warmer weather and spending more time outside. This year, as families prepare to host a variety of outdoor gatherings, mosquito prevention and protecting against mosquito bites should be top of mind. 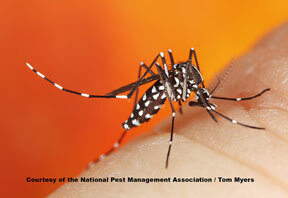 Mosquitoes transmit numerous diseases and are often described as one of the deadliest animals on the planet. This year, the Zika virus has made the mainstream news and has become a cause for public concern, especially for women who are or planning to become pregnant. As it is unknown how Zika will spread, particularly in the U.S., practicing caution is warranted. * Remove all sources of stagnant water. Standing water can be found in areas such as gutters, buckets, flowerpots and bird baths. Mosquitoes only need 1/2 inch of standing water to breed, so it is essential to minimize these areas to reduce offspring. * Wear an insect repellent containing DEET or another EPA-registered ingredient to help prevent mosquito bites. The NPMA, in partnership with the CDC, developed an instructional video on how to properly apply insect repellent. * Minimize outside activity between dusk and dawn, when mosquitoes are most active. Also take proactive measures during the day to protect against daytime biters like the Asian tiger mosquito, the main carrier of Zika. * When outdoors, wear long-sleeve shirts, long pants, socks and closed-toe shoes. * When hosting guests outside, keep the air moving. Using a fan where you and your guests may lounge makes it less likely mosquitoes will land on you. These pests are not strong fliers, so circulating air can make an outside gathering more pleasant. By following these tips and actively working to prevent mosquitoes on the home front, you will help reduce the risk of you and your family getting bitten by mosquitoes this season.